You're looking at an empty piece of land in a new subdivision. Your builder fills your head with idyllic dreams of a new home, a yard for the kids and maybe even a wrap around front porch. It's easy to buy into the wonderful thoughts of a new home. But here's what your builder won't tell you: he's building a similar dream home to people looking at the empty lot right next to yours. There's no fault to the builder here ... he's building a community for you and your future neighbors to live in. However, because you'll be living within close distance to your new neighbors, consider this advice: Take a few steps in the building stage to differentiate your home in your new community ... and make sure you arrange to have privacy in your new home. 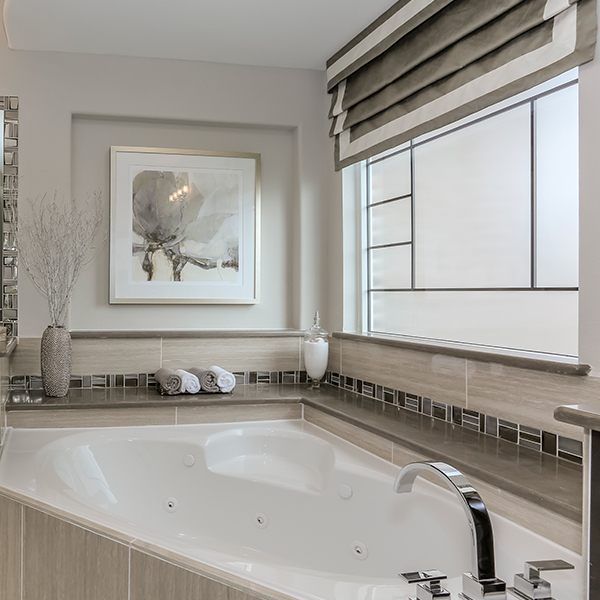 With many lot lines smaller and closer than ever before in new communities, make certain to ask your builder for privacy windows installed in your first floor bathrooms and bedrooms. There's no fun of moving into your new home to look out your windows over into the neighbor's house or at their ugly outside HVAC units. Privacy acrylic block and decorative glass windows solve this dilemma. At the same time, they reflect your personality and add more pizzazz to your home ... on both the inside and outside!